Perfect for retro loving hipsters, is this vintage mid-century skinny square tipped tie, in the modernist color combination of the period of black with pink, circa 1950s. 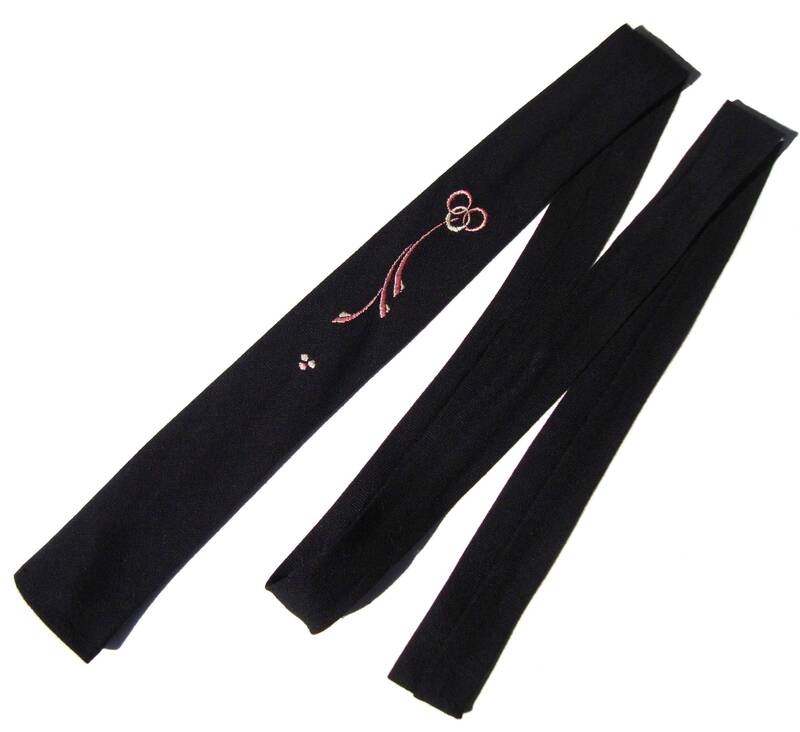 The Rockabilly necktie consists of a soft black knit, with a pink and white embroidered flourish at its center. It has a “square tip” blade and measures approximately 2 inches wide by 52 inches in length. There are no labels.